Nevada is officially the first state to approve self-driving cars. On Thursday, Nevada approved rules for testing driverless cars on state roads. "Nevada is the first state to embrace what is surely the future of automobiles," Bruce Breslow, director of the Nevada Department of Motor Vehicles says in a statement. "These regulations establish requirements companies must meet to test their vehicles on Nevada's public roadways as well as requirements for residents to legally operate them in the future." Self-driving cars aren't ready for consumers -- they're still a few years out -- but they are ready to be tested on public highways. According to the Associated Press, companies that want to test self-driving cars will need a bond of $1 million to $3 million, depending on how many cars they want to test. Cars must have two people inside them at all times, one of whom must be able to take control if necessary. "They have to take us out and prove that they can do it," Breslow told the AP. "They're not ready to go to market yet." Cars also have to be equipped with data collectors (like an airplane black box), and will have red license plates. If the cars are approved for public the cars will have green license plates (regular Nevada license plates are grayish-blue). If cars are approved, a person can operate the vehicle "without being physically present," according to one provision. But the person operating the vehicle -- present or not -- will be held responsible for what the car does. According to Breslow, operators of driverless cars will be allowed to text and drive -- but not drink and drive. "There is no exemption for drinking and driving," he told the AP. As I mentioned earlier, we're still a few years away from driverless cars. But Google is working hard on its driverless prototype -- and claims that its self-driving cars have driven over 140,000 miles. 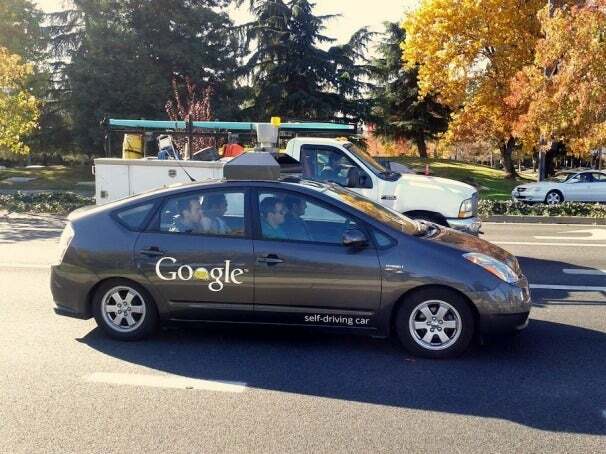 According to Google, seven of its cars have driven 1000 miles without any human intervention. There has been only one reported accident involving a Google self-driving car -- a fender-bender involving another Prius. According to Google, this accident was actually the fault of a person, and the car was in manual drive mode at the time. Google isn't the only company developing driverless cars. Other car companies, including BMW, Volkswagon, and Audi are all in the process of developing self-driving prototypes. Other states, including Florida and Hawaii, are also looking into legislation for approving the testing of driverless vehicles.